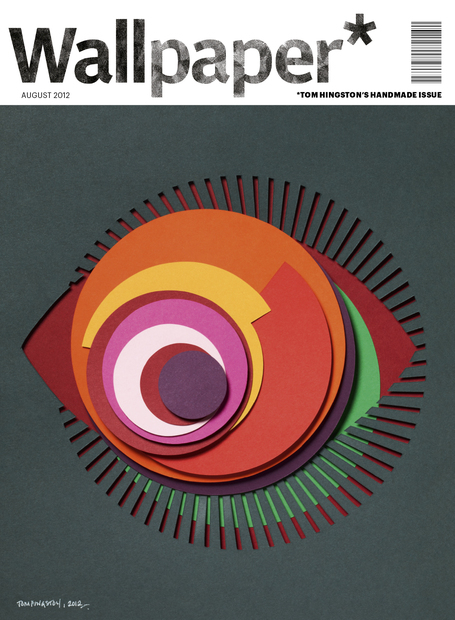 As a new twist to its award-winning Custom Covers project, Wallpaper has commissioned dozens of top designers to create a series of unique covers for the magazine’s August Handmade issue. Thirty cover artworks, all handmade originals using pen, ink, paint, chocolate and even fingernails will be on display at the KK Outlet until 24 July. Alan Kitching, Anthony Burrill, APFEL, Bibliotheque, Daisy De Villeneuve, David Carson, Hellovon, Henrik Kubel, Hiroshi Tanabe, Hort, Ian Wright, James Joyce, Jonathan Ellery, Kam, Wallzo & Pauls, Laurent Fetis, Margaret Calvert, McGarry Bowmen, Meirion Pritchard, Melvin Galapon, Nigel Robinson, Paul Davis, Peter Miles, Quentin Jones, Rob Ryan, Sam Winston, Studio Frith, Supermundane, Tom Hingston, Trevor Jackson, Vince Frost. Phlegm - Shutter in East Village, New York City. DSCREET Glow In The Dark Prints!